Our future depends on mathematical thinking, but math trauma extends across our country – and the world – due to the ineffective ways the subject is often taught in classrooms, as a narrow set of procedures that students are expected to reproduce at high speed. In a newly published paper, researchers showed not only that math anxiety was negatively related to performance in 63 of the 64 countries tested in the Program for International Student Assessment (PISA), but also that the highest achieving students had the most striking negative relationship between math anxiety and performance. It’s one of the important findings on the brain and mathematics learning that has profound implications for students’ achievement in math, and one that I’ll discuss this morning (April 3) and later this week as math experts gather at a pair of key math-education conferences in San Antonio: The NCSM Leadership in Mathematics Education’s annual conference and the National Council of Teachers of Mathematics’ annual meeting. Unfortunately math continues to be taught in ways that are far removed from the research evidence on ways to teach well, and many ineffective classroom practices – timed tests, speed pressure, procedural teaching – are the reasons for the vast numbers of children and adults with math anxiety. They are also the reason that so many high-achieving students leave not only mathematics but the numerous STEM courses that require mathematics. Ashcraft and Krause (2007) found that math anxiety severely impacts student’s ability to enjoy math, motivation to take more math or do well in math. 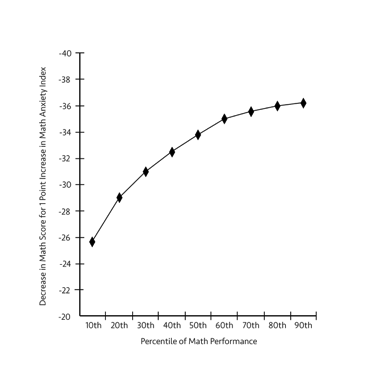 First, math is often taught as a performance subject. Ask your children what their role is in math class, and they are very likely to say it is to get questions correct. They do not say this about other subjects. More than any other subject math is about tests, grades, homework and competitions. Second, many teachers and parents communicate to students that they have a math brain or not, an incorrect idea disproven by brain science showing that all students can learn math. Third, math is taught as a set of procedures and calculations, when brain research tells us that visual representations and ideas are really important for brain connections and mathematical growth. Visual math tasks enable learners to be creative, and to see the beauty in math. For examples, see https://www.youcubed.org/tasks/. Fourth, math is taught as a subject of speed and answers, rather than depth, struggle, and ideas. Fifth, math is the subject with the most homework – making students think that even in their own hours at home they have to be engaged in math performance. Zoe is not alone in these thoughts – they are felt by many students who have been through years of U.S. math classes. But some people have a very different math experience. The fortunate students, whose teachers have learned to teach math as a learning rather than a performance subject, develop a very different relationship with math. It is really important to change the math teaching in our country’s classrooms, not only to improve math achievement but to change people’s relationships with math. We all need mathematical thinking in our lives, and those who go through their lives afraid of math get constant reminders that something is wrong. Learning is not just about acquiring new facts and information; it changes who we are as people. That is because learning is about identity. When we learn, it changes how we look at the world, what we know, what we believe and who we are. Researchers and others try to change math anxiety by reassuring students and comforting them, but we should be doing something really different and much more radical. We should be changing the way math is taught in classrooms, as these Stanford undergraduates describe, and we cannot make those changes soon enough. 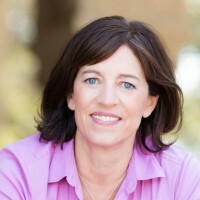 Jo Boaler is a professor of mathematics education at Stanford University, co-founder of youcubed.org and author of best-selling book Mathematical Mindsets: Unleashing Students’ Potential through Creative Math, Inspiring Messages & Innovative Teaching (Wiley, 2016).